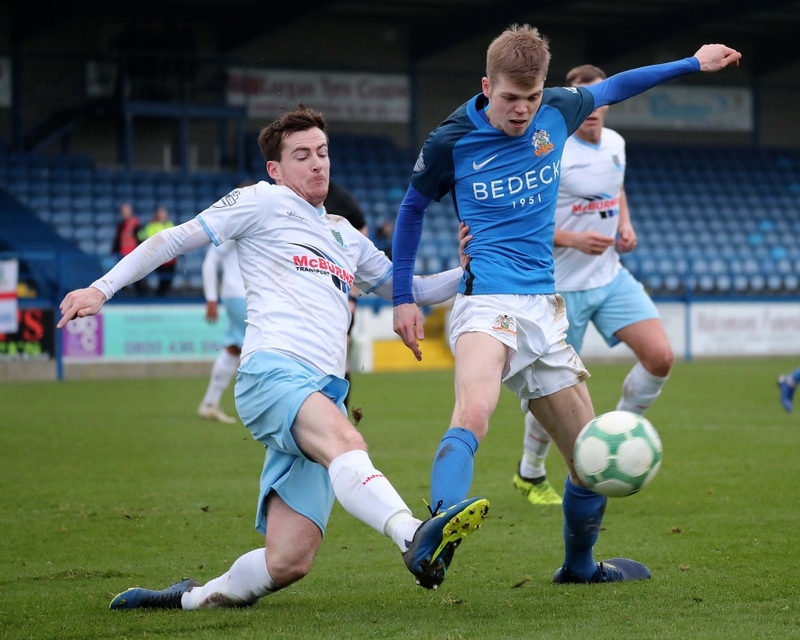 Glenavon’s poor run of form continued on Saturday as they lost 2 – 0 at home to Ballymena United. Adam Lecky put the visitors in front in the 13th minute after Jonathan Tuffey failed to hold a Cathair Friel shot. Lecky turned provider on 34 minutes when he sent Jude Winchester clear, and the midfielder slotted past Tuffey to claim the Braidmen’s second goal. 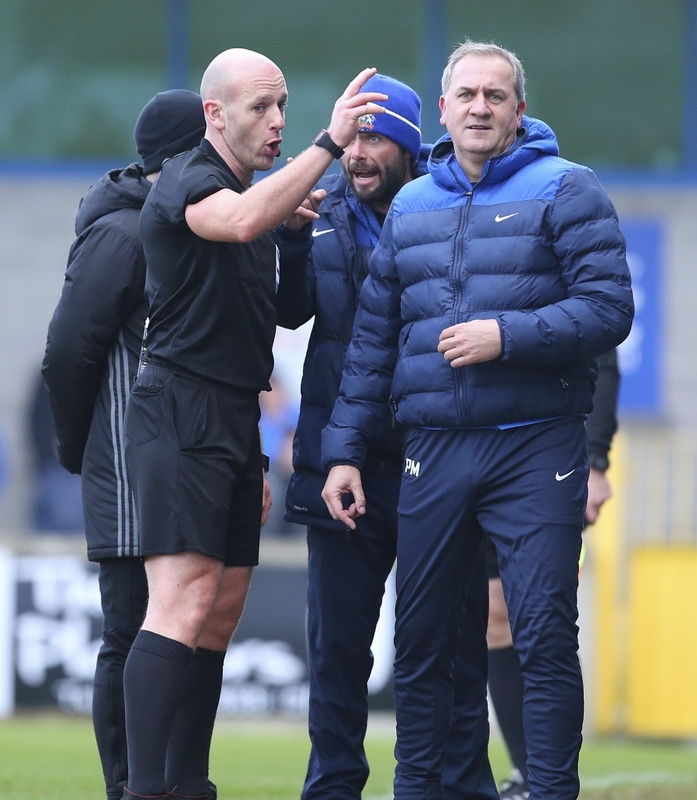 Glenavon rarely threatened as the game wore on, and this latest defeat means the Lurgan Blues have now won just one of their last nine league matches. 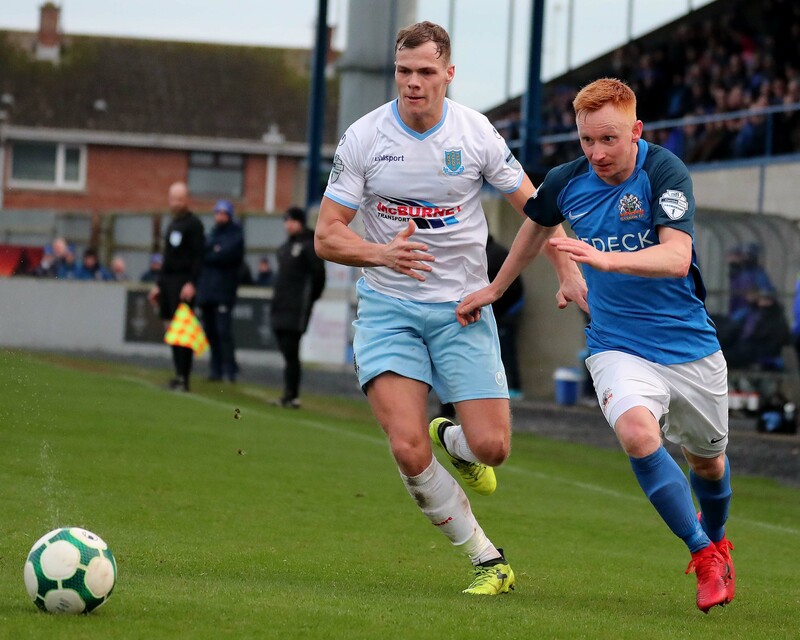 The game was very open in the early stages, and the home side had a real let-off in the fifth minute when Friel beat Tuffey to the ball at the edge of the penalty area and lobbed the Glenavon goalkeeper. Caolan Marron raced back to head the ball off the line and keep the game scoreless. As it turned out, the game wasn’t to remain goalless for long. Andy McGrory sliced his way through the heart of the Glenavon midfield by playing one-twos with Leroy Millar and Winchester before feeding the ball to Friel on 13 minutes. The striker took one touch to create space for a shot with his right foot which Tuffey couldn’t hold. Lecky latched on to the rebound, and his shot cannoned off Tuffey, then Rhys Marshall, before falling kindly for the big striker to put it into an empty net. 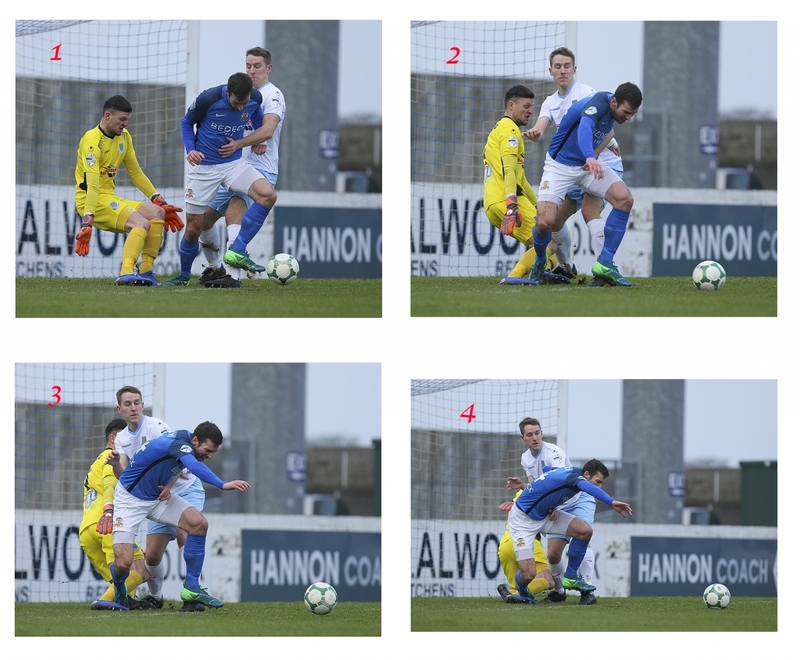 Glenavon tried to respond, and three minutes later it looked like the ball was going to sit nicely for Niall Grace to have a shot on goal, only for Millar to make an excellent sliding tackle just as the Glenavon midfielder was about to pull the trigger. In the 28th minute Glenavon had strong penalty appeals waved away by referee Arnold Hunter when Stephen Murray went down in the area. Assistant Manager Paul Millar was sent from the dugout for his protests at the decision a couple of minutes later. To add insult to injury, United doubled their lead just two minutes after Millar’s dismissal. Ballymena’s Millar fed the ball to Lecky on the edge of the centre circle. The big striker had time to turn and slip the ball through for Winchester to run on to, and the midfielder calmly slotted past Tuffey to double the away side’s lead. The hosts were unlucky not to get back into the game five minutes before half-time when Josh Daniel’s header from a Hall corner came back off the post. Ballymena seemed to lose some of their attacking potency early in the second period when Winchester had to be replaced by former Glenavon midfielder Ryan Harpur, and Glenavon debutant Robert Garrett tried his best to exert his influence on the game, but in truth the home side rarely threatened in the second half. In fact, it was the visitors who might have added to their lead in the 70th minute. Only a last-ditch tackle by Marshall prevented Friel from adding his name to the scoresheet. Three minutes later Ballymena again nearly scored when Kofi Balmer got on the end of Steven McCullough’s corner, but the defender’s shot struck the base of the post. Ballymena comfortably held on to claim the three points and their first league win at Mourneview Park since February 2012. Glenavon will be hoping to defend their Mid-Ulster Cup title on Tuesday night (January 22nd) when they take on Warrenpoint Town in the final at Stangmore Park, Dungannon (kick-off 7.45pm). Next Saturday (January 26th), sees the Lurgan Blues travel to Solitude to take on sixth-placed Cliftonville (kick-off 3pm).